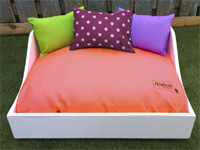 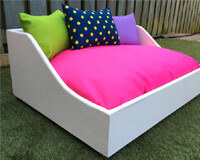 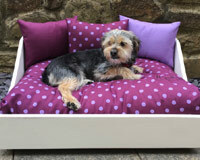 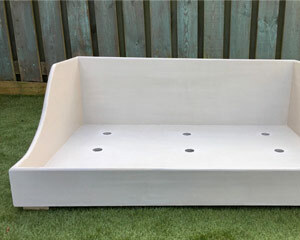 These luxury wooden dog beds by Miaboo are beautifully hand crafted in Yorkshire. 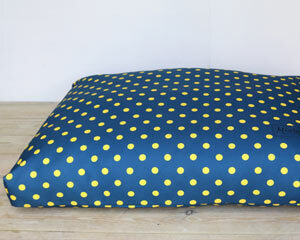 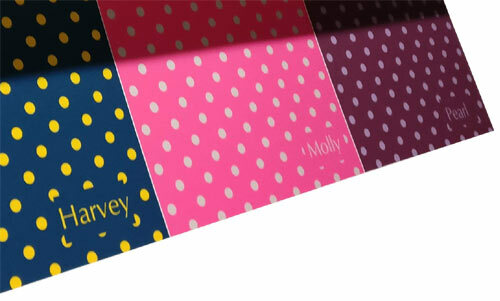 The Lazy Day set comes complete with a comfortable blue yellow spot cushion base and pretty matching scatter cushions. 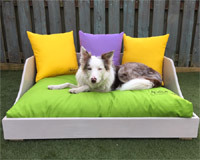 It is fit for a four-legged king or queen. 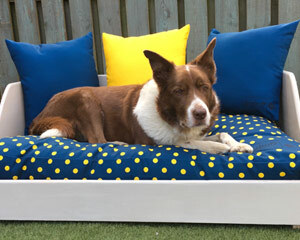 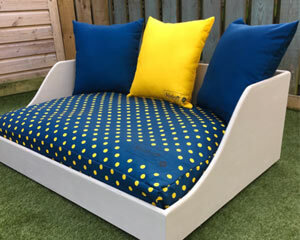 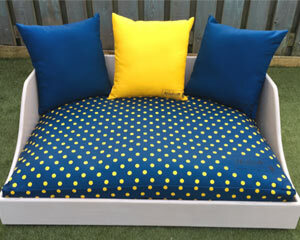 This strikingly beautiful 'Lazy Day' themed bed set is so very stylish - bed frame in hessian paint with a blue yellow spot base cushion and matching blue and yellow scatter cushions.